Perfect for developers, businesses, and applications that demand the ultimate in virtual server performance. NVMe storage slashes your page load times, supercharges your apps, and helps you handle more traffic without slowing down. Save up to 90% over other VPS Voxility hosting companies with unbelievable pricing on long-term contracts. We are reseller Voxility VPS Romania with the lowest price on the market. The world's best and fastest LXC VPS Romania. Guaranteed the best I/O performance! For ultra fast performance, SSD is the future for our servers. The best I/O reports come from fast SSD VPS Voxility Romania. All our plans have standard SSD hard drives. Test the service yourself. Our benchmarks results shows we are the Best VPS in the cloud market! DDOS attacks are very common in the IT industry. The letters DDOS stand for Distributed Denial of Service. The attack itself is a combination of network power from different computers. These computers combined can create a huge amount of traffic that some servers can’t handle. This will cause errors and will make the website unavailable. Backups you can count on and 24/7 Support 365 Days a year! All housed in a state-of-the-art data center powered by Voxility Romania. Redundant network infrastructure and multiple bandwidth providers ensure your server is always connected. Price per month for annual payment! 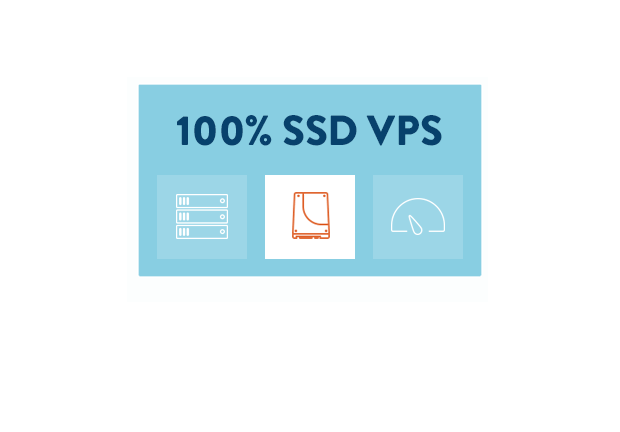 Ultra Fast SSD VPS " Voxility VPS Romania "
The VPS servers (Voxility VPS Romania) we provide are one of the fastest available on the internet. We use Fast Intel processors and our platform is fully equipped with SSD-drives. The SSD makes all VPS servers 10 times faster then original SATA or SAS-drives. We use Intel E5-2670 Core’s for the best speed of your server. Total port speed of 10Gbit and software defined storage is what makes HostingFuze Network so unique. Try out our I/O test and see many benchmark reports on the internet. CyberPanel Enterprise is a web hosting control panel that natively supports LiteSpeed Web Server Enterprise which also packs Email, DNS and FTP server. LiteSpeed Enterprise is high performance, lightweight and a drop-in Apache replacement. Installation of CyberPanel is fairly easy. The installation must be run as root (sudo will not work). Following instructions will install CyberPanel (with OpenLiteSpeed), it is totally free and does not requires any kind of license, you can install using the single command. Buy VPS Voxility Romania and benefit CyberPanel Enterprise ships with LiteSpeed Web Server and support ESI (hole punching) , your are able to use cache plugins for WordPress, Prestashop, Magento and more. Originall developed at Google, QUIC is now becoming a standard. LiteSpeed Web Server supports QUIC which is faster due to its reduced connection establishment time. Fully compatible with Apache .htaccess files also ships with ModSecurity firewall with built-in support for Comodo LiteSpeed Rules. One-click automatic Let’s Encrypt SSL for all of your sites. CyberPanel Enterprise also take care of SSL renewals for your websites. Free cache plugins for WordPress, Magento, Joomla, PrestaShop, Drupal, etc. to speed up your websites out of the box. CyberPanel ships with multiple PHP versions, you can also manage your PHP settings from the control panel. Emails are very critical to any online business, CyberPanel let you easily setup your emails, you can either use it for transactional or marketing emails. CyberPanel Enterprise users will get premium and prority support through our helpdesk. CyberPanel allows you to view and manage Docker container/images. This feature allows you to limits CPU, Memory, Disk and Network usage per website. Automatic Backups to AWS S3, DigitalOcean Spaces and MINIO servers. Cloud Platform to manage multiple CyberPanel installation at central location. Regional Connectivity. We pay premiums Most of your website visitors are customers serviced by large telecom operators in their home countries. These operators ask for premium fees to open their networks for access within their home markets. Voxility pays those premiums, so you have a choice: you can always reach your visitors via an IP transit provider—with an additional 30-100 ms lag time— or you can work with us and have a low latency toward your visitors. IP Exchanges. 700 direct ISPs Smaller regional ISPs and some distant large networks exchange traffic in regional public Internet exchanges, like DE-CIX, AMS-IX, LINX, Equinix, HKIX, Balcan-IX, etc. Voxility routers and servers are located in the same buildings where these Internet exchanges are housed. We are connected with more than 700 ISPs and over 230 Gbps in all cities in which we operate. Direct access to China Get 5-20ms from Hong Kong to China through Voxility’s network.This is a rare high quality route you can hardly find. Don’t trust other providers, traceroute your Asian customers from inside their networks and compare with ours. Technology. High-End Switches and Routers All servers are connected to switches built for high-frequency trading and iSCSI storage with huge buffers. These are the ultimate Ethernet access switching devices. Each of our Core routers have 1,2Tbps installed routing capacity and we have at least two in each datacenter. Cisco Edge routers assures the best interoperability while providing stable BGP and protective ACL’s. All VPS services are provisioned to the latest in server hardware including Dell PowerEdge servers and our balanced network is powered by Cisco Systems Network Equipment. All housed in a state-of-the-art data centers powered by Voxility. Redundant network infrastructure and multiple bandwidth providers ensure your server is always connected. All housed in a state-of-the-art data center powered by Voxility. Redundant network infrastructure and multiple bandwidth providers ensure your server is always connected.